Figure of a fierce bull in motion. A gift with an exclusive and original design based on Antonio Gaudi technique. 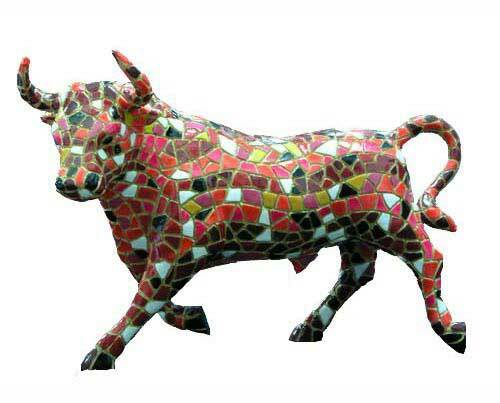 This bull is a Spanish handmade piece, made by craftsman who manufacture thses figures following the Gaudi’s technique. Piece of an innovative design inspired by the mosaic technique trencadís. Hand painted with more than 10 colours.